Everyone agrees with all the wonderful advice and ethics written in the books of the sages. Everyone agrees that this is the way to run your life. The only issue each one of us has is whether those words are truly meant for me, or for someone else in some other time and place. In some strange way, these few sentences capture the struggle we encounter at the intersection of Christianity and Judaism. I know that many Christians and Jews don’t believe their two worlds intersect at all, but in spite of 2,000 years of “discomfort” between us, we just can’t seem to get away from each other. The other day, on my commute home from work, I saw a car with a bumper sticker that said, “Judeo-Christian.” I wish I could have talked to the driver to find out what they were thinking when they put that on their car. Judeo-Christian is a term traditionally used to describe a specific set of ethical or moral values often associated with American historical and cultural beliefs. It artificially forces a connection between Christianity and Judaism that most Jews don’t appreciate. Christianity doesn’t mind so much because of the knowledge that we wouldn’t exist as a faith without Judaism, at least the ancient Judaism that ended (from the church’s point of view) with the destruction of the Second Temple. When pushed, Jews and Christians will admit to sharing some common values and goals, such as feeding the hungry and and visiting the sick, but the foundations of how Judaism and Christianity view God, the world, and just about everything else are fundamentally and radically different from each other. In some sense, it’s amazing that Christians and Jews can have a meaningful conversation at all, at least on the topic of God (I’m sure there’d be no problem discussing the World Series or something like that). As many of you know, I’ve recently been trying to describe the linked relationship between Christianity and Judaism as part of Israel’s national redemption. It’s slow going because the idea that God would actually intertwine the destinies of the Gentile church and the inheritors of Sinai is foreign to the two groups. 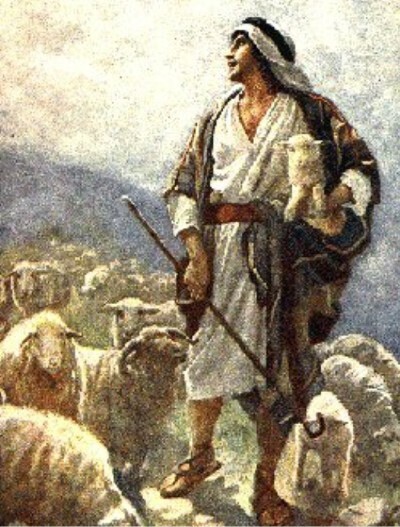 Even within the realm of Messianic Judaism, which should be a friendly environment for both, the idea that Christ can only come back if Christians support and embrace Jewish return to Torah has met with significant resistence (Read Redeeming the Heart of Israel, Part 1 and Part 2, as well as Disconnect Reconnect Disconnect if you don’t believe me). Paul in Romans 11 explains that it was necessary for there to be a separation between the Gentile believers and the Jews for the sake of the nations. But after so very long existing apart from each other, overcoming the walls we’ve built between us is no easy task. So how do we live together while maintaining our separate identities? How do two people who are married maintain their own lives and wills and uniqueness? I don’t know, except to say that who we are is built into us. No matter how much you may love your spouse, that love doesn’t erode your personality so you stop being you and start being them. Something does happen, though. You learn to set aside some of your personal desires and preferences and to act for the benefit of your beloved husband or wife because you want to do good for them. Our Master did no less for us. The difference between him and us is that Jesus is our Master and we are his disciples and servants. We are not greater than the one who sent us. But with our spouse, neither husband nor wife is elevated over the other. In other words, we Christians might not want to face the fact that when the Jewish King returns, he will restore Israel to its rightful place at the head of the nations, he will establish forever the full redemption of his Jewish people, and it is we from among the nations who will “flow” up to Jerusalem and the Temple Mount to honor the King of the Jews and to worship the God of Abraham, Isaac, and Jacob. Rather than the church expecting it to be the other way around. Rather than the Jews “flowing up” to Christianity and abandoning Judaism, the Torah, and ultimately, the Jewish Messiah King. Kind of humbling for we Christians, isn’t it? If it is truth, it is meant for you, now, here. There is a truth about our existence in this world that we aren’t always aware of. 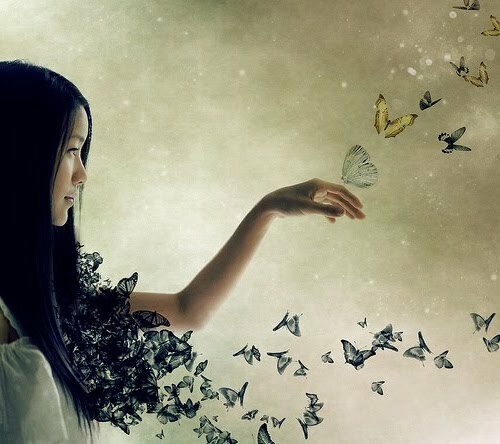 Maybe we’ve never been aware of it, but it rests inside of us, like a cocoon which appears dormant or even lifeless, and yet contains the beginnings of what will become a spectacular butterfly. Like a new life being nurtured in a mother’s womb, the will of God for each of us is embedded within our souls, waiting for the right moment to begin to stir. I believe that’s what is happening now in Christianity and Judaism. I believe this is part of what the Master called in Matthew 24:8 “the birth pangs” (please don’t overanalyze that metaphor and say he was really talking about wars and earthquakes…I think he was also talking about what I’m talking about). Any woman who has ever given birth can tell you that it is a wonderful, and terrifying, and ecstatic, and agonizing experience. So too are the birth pangs we are approaching as Christianity and Judaism, divided for so many centuries, approaches an intersection that God saw and destined before He built the foundations of the Universe. Our Lord, our Master, our Messiah is coming, but we all play a vital part in summoning his presence. We in the church must encourage the Jewish return to Torah and national redemption of Israel. Israel must be that light to the nations, drawing us all to God. 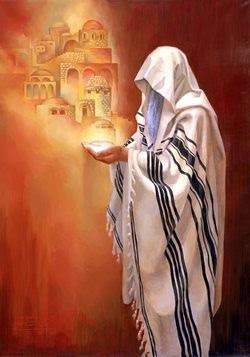 Then the Moshiach will come, the Jewish King will ascend his throne, and the Temple of God will be called a house of prayer for all the nations. Blessed be the nation of Israel and may she return her heart to God and the Torah, that she may be redeemed and restored. And may the Messiah come soon and in our day. I know that it is being said here that there will be some dramatic change overnight, but what about those that die before that time comes and have not accepted Yeshua or properly followed the Torah? We can’t assume that all of us are going to make it until that time. To me we are just as susceptible to sin as Christians and are supposed to be one with no partiality. James chapter 2 the represented “rich man” can apply to any person or group of people for that matter. I wish I had all those answers, Liz. There’s a huge temptation to focus on John 14:6 as our primary message to the Jewish people to the exclusion of everything else. On the surface, this seems like the proper thing to do, but if that means a Jew leaves Judaism in all its forms and converts to Gentile Christianity, does that promote Israel’s national redemption and the return of the Messiah? I’ve talked previously (and I will again tomorrow) about how the Messiah’s soul is inexorably joined and intertwined to the soul of Israel. It’s as if Messiah and Israel were interchangeable and when we grasp onto one, in some sense that’s difficult to articulate, we grasp the other. In my opinion that’s why we can’t say we love Jesus and throw the nation of Israel under a bus that the same time. They’re a package deal. Can we encourage Israel to return to Torah and leave our the Messiah? Probably not, but a lot of Jews, even secular Jews, feel that the Torah and Jesus are incompatible. That’s because they see Jesus as the Gentile “Messiah god” and not the Messiah of Israel. Part of what FFOZ is doing by publishing books such as Tsvi Sadan’s The Concealed Light (which I highly recommend, by the way), is to show Jesus (Yeshua) as the Jewish Messiah and the one who is perfectly consistent with Torah and Israel’s redemption. I can’t answer your questions about salvation and how all that works beyond the traditional Christian understanding simply because I do not know for sure. However, as I previously mentioned, when I talk about Israel’s national redemption, I’m not talking about salvation issues, I’m talking about the nation of Israel returning to Torah in the here and now. This is an event that could very well summon the return of the Messiah. A lot more work needs to be done on this topic before I’ll be able to comprehend it further and I’m hoping Boaz and the folks at FFOZ will offer additional insights in the months ahead. Encouraging Israel’s return to Torah may not always be a matter of telling an individual Jew about the Torah or Yeshua. Sometimes it might simply mean not resisting Jewish return to the Torah and insist that they convert to the church instead. It might be resisting supersessionism and anti-Jewish rhetoric in the church and society in general. It might be removing the walls in society that prevent Jews from being considered OK as Jews. Right now, in some parts of our society, it is more “OK to be Takei” (a phrase used to promote acceptance of homosexuality since actor George Takei is gay) than to be a religious Jew. The Jewish Messiah King will be married to the “assembly called out of the nations”. They will be one and not two. So, when the Jewish Messiah King reigns from his throne whereupon his bride (the church, New Jerusalem) the Queen is also seated….the nations will flow up to them. Together… as they are one. Christ and the Church. The nations do not “flow up to Judaism” but to Israel whose King is Yeshua, and who’s Queen is the “assembly of called out ones from the nations” or better known as “The Church”. The “Church” is the Queen of the Jews and becomes one with the Jewish Messiah. Notice: It does not say if refers to Christ and Israel. Many good thoughts here, wonderful Scriptures that cannot be read as anything other than as presented. So much of the incompatibility stems, i think, from the reality that there is no such thing as uniform, blanket Christianity or blanket Judaism. In both cases, church officials and rabbis of all stripes and colors and motives took control of these classifications of religion, which are man-made and not God-made. In the case of Judaism, that was occurring in Jesus’ own day with Pharisees sects, Sadducees. In the the case of Christianity this was occurring quickly in the time of Paul. How often did Paul warn those of his time against men and women who wanted to corrupt the Scriptures and the reality of the Resurrection, teaching ‘false Gospels’ and so on. Over and over again such warnings were issues in Acts and the Epistles. i grew up in a Jewish neighborhood where my friends and classmates attended the beginnings of very liberal/reformed types of synagogues. And my own mother’s family had abandoned Judaism altogether and they had been much more Conservative/Orthodox in Europe. Today things are not much changed. Some Jews worship the Living God with all their heart and soul, others design their own god –yet all are called Jewish/under the umbrella of Judaism. In my own area right now there are two synagogues where the Jews do not even talk to each other, one Orthodox and one called Conservative (prayer book ). My own experience with the Living God and Jesus as Saviour and Lord came, as a young married adult, through churches. Churches they were all of all kinds, Heinz’s 57 varieties and then some. I grew up hearing the word Christian confused forever with Gentile, why we even were taught Hitler was a Christian. It is i think impossible to try to make Christianity and Judaism compatible because they represent so many incompatible things even in their own separate classifications. God has a plan for the nations and peoples which thankfully are in HIS HANDS. My job is to be sensitive every day, all day long, to following His leading so that any one i meet might be one more person to invite to come to One who is the embodiment of Life, Light, Living Bread, Truth, the Way to the eternal Kingdom. it is no small task,but it is an honor indeed. Our God is obviously using you and your good heart and mind to also have such conversations every day, Occupy until I come”, and yes, may it be in our day.. Thanks for good meditations, James…..am enriched. @Steven: The impression I think a lot of Christians have is that “Christ and the church” means that a non-Jewish, “Gentileized” Jesus will be “ruling and reigning” with a bunch of Protestants in suits and ties, just like Sunday services back home. There are a lot of pieces missing in our puzzle, such as why, if it’s Jesus and the church ruling from Jerusalem, the prophecy in Zechariah 8:23 would occur at all, let alone Micah 4:1-4. @Louise: Like I told Steven, there’s a lot of information we don’t have available to us in terms of how Messiah will bring peace to all peoples, including between Christianity and Judaism. Actually, it’s more than peace, because the disciples of the Messiah among both Israel and the nations will have to be reconciled to each other somehow. Frankly, I think we’ll all have to readjust our assumptions about what the Word of God is telling us. These are exciting times. He has sent the son to “prepare a body” for himself. A Holy and Eternal Habitation. These are exciting times indeed. In that context, I mean the Jewish Messiah and a group of exclusively non-Jewish Christians, with Israel conspicuously absent. Right, but not exclusively non-jewish. Sort of like a “rib” was taken from Yeshua’s body (believing jewish) and with the “dust of the earth” (believing gentiles) a woman was formed for the Son of God to marry. Bone of my bone, flesh of my flesh?